4G is the future. Worldwide 3G is becoming slower and more unreliable as it buckles under the weight of huge amount of data from mobile devices that are being used to watch video, stream songs, access social networks and, occasionally, make phone calls and text. 4G is the next generation of wireless networking, delivering speeds to rival home-based broadband. 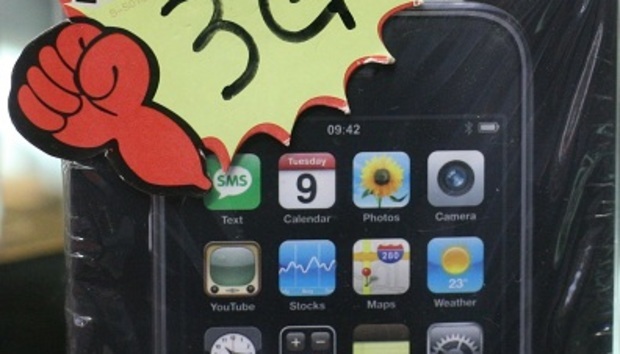 China's relationship with 3G suffered some serious teething troubles. Arriving late to the game, it took until 2009 for China to approve 3G licenses and then instead of using the widely used version, they adopted a home-grown technology called TD-SCDMA. The solitary nature of this technology meant most major suppliers, Apple included, weren't compatible and so mobile operators in the region missed out, instead relying on the slower and mostly outdated 2G networks. With 4G China's government and its mobile operators are clearly trying to stay ahead of the game. Recent figures from the Ministry of Industry and Information Technology put the country's number of 3G users at 152 million, which accounts for a shade under half of all the mobile internet users and has seen a ten-fold rise in the last two years. But China is way behind in the mobile internet game. 152 million sounds a lot, but it pales in comparison to the 900 million-odd people using phones without internet capabilities. Obviously with such numbers involved companies are keen to tap into the potential and get more people to switch over to smart phones. Currently there are two variants of 4G; LTE FDD (Frequency Division Duplex), used by mobile operators in countries such as the US, Japan, much of Europe, and the Philippines and TD-LTE (LTE TDD outside of China), China's own 4G network it has been developing. China are pushing hard to make their version of 4G the global standard. It has been developed with Bharti Airtel and Vodafone and has received the backing of Japan's Softbank Mobile and Germany's E-Plus. Already trials are being conducted and proved a success. So far 4G has been rolled out in selected regions, including Hong Kong, and the result for China Mobile was a 3.5% rise in quarterly profits. The latest services have gone live in Guangzhou, Shenzhen, Nanjing and Hangzhou, and capital Beijing is to follow next. The Chinese government has included next-generation mobile communication as a strategically important industry in the country's five-year plan, and China Mobile CEO has promised there will be no price war over 4G, instead focusing on rolling quality service. According to Sina News, the cost of developing 4G is much cheaper than 3G, and China Mobile will be pushing the technology hard, hoping to have built 200,000 4G base stations by the end of 2013. How China fares with 4G will have a massive impact on Telecoms companies around the world. Many device makers will want to break into the market in a way they couldn't with 3G, and so are likely to push for it in other markets. As an example, Apple is on the brink of agreeing that future iPhones will support China's TD-LTE. This is bound to mean iPhone sales will surge, and mobile operators and manufacturers are likely to fall in line with the daddy of smartphones and adopt or at least create devices compatible with China's 4G. Some companies already are. In the U.S., Clearwire plans to start deploying such a network within the year, after forming a partnership with China Mobile to develop products and equipment using TD-LTE together. Recently plans have hit a recent snag, with the government planning to withhold licenses for 4G for two or three years, which could give LTE FDD the time it needs to expand and become the global standard. A few countries have already adopted TD-LTE, Namibia being one with Ghana set to follow soon, and breaking to Africa could offset the delay. It's hard to tell, but whatever happens, the story is always the same with China; expect big things.